A Patagonia cruise is a once-in-a-lifetime experience. No other cruise destination can offer the vast scope of sights and experiences. If you’re planning a Patagonia cruise trip, this guide is for you. Australis has been operating cruises to Patagonia for decades. In that time,so we’ve developed truly expert knowledge of the region. In this guide, we’ll share that knowledge with you. 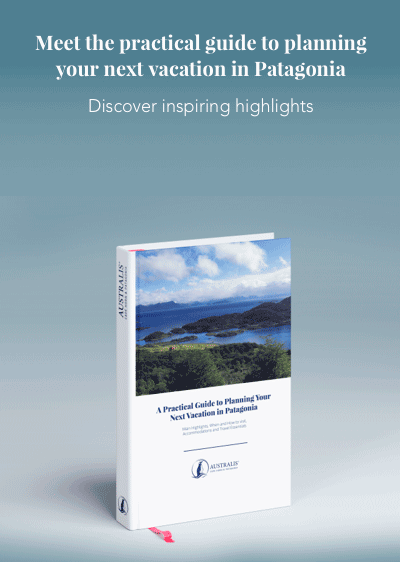 Why choose a Patagonia cruise? People go on cruises for any number of reasons. Some people seek rest and relaxation. For others, it’s all about adventure and exploration. If you are of an adventurous and explorative persuasion, a Patagonia cruise is a must-do. An Australis cruise to Patagonia offers you the opportunity to experience the unique and truly awesome part of the world that is Patagonia, in style and comfort. Taking a Patagonia cruise offers a glimpse into this remarkable region. Patagonia is a breath-taking corner of the world. It is home to a wide array of wildlife, including whales, sea lions, penguins, pumas and many more besides. It has a wondrous natural landscape that is as spectacular as it is wide-ranging. The region is the subject of and inspiration for lots of documentaries and travel literature, including the iconic “In Patagonia”. Patagonia really needs to be seen first-hand to be believed, and a Patagonia cruise is the ideal way to do that. There are a number of ways to plan a Patagonia cruise, and there are different companies and offers out there. You should always book your trip with an established and trusted cruise operator, so choose wisely. Australis has organised cruise excursions to Patagonia for decades, and our Discover Patagonia cruise offers an immersive three-night experience that you won’t soon forget. 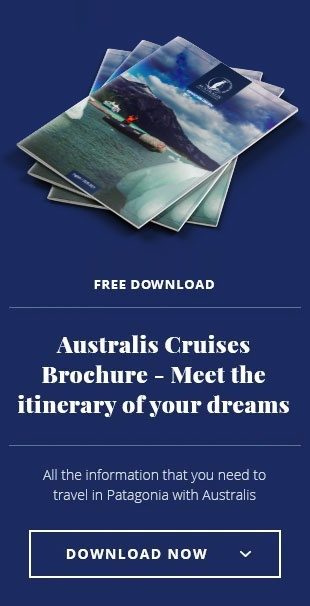 Booking through Australis has many benefits, and chief among them is the peace of mind that you’re in expert hands and will have the best possible Patagonia cruise experience, from the moment you book your tour to the moment you step off the cruise ship. Things will start in Ushuaia, Argentina, the southernmost city in the world. You’ll board the M/V Stella Australis, our state-of-the-art cruise liner. You’ll be greeted with a toast, and we’ll head for Chilean waters. We’ll reach Cape Horn National Park bright and early the next morning. We’ll head ashore, weather permitting, and explore the island and discover its rugged and windswept beauty. Next stop is Wulaia Bay. Here, the anthropology is as interesting as the geography. Learn about the Yámana aboriginals, discovered many centuries ago by Charles Darwin and Captain FitzRoy. Afterwards, we’ll hike through the mountainous woods, where your reward is a panoramic view of the bay itself. You’ll visit the De Agostini Sound, an historic lagoon flanked by majestic glaciers and with an abundance of magnificent birds overheard. Finally (and for many, the highlight), we set anchor at Magdalena Island, equidistant between the Chilean mainland and Tierra del Fuego. If the weather allows it, we’ll head ashore and walk amongst thousands of Magellanic penguins – a genuinely unforgettable experience indeed. No two Patagonia cruises are alike, and each voyage has its own unique character. Contact us to learn more about our Patagonia cruise.